When it comes to enjoying margaritas in California there is a lot more to it than deciding between “blended” and “on the rocks.” Throughout California you’ll find margarita variations that range from classic flavors to versions that embrace the creativity of Californian chefs and bartenders and the diverse range of locally-sourced ingredients that go into each pour. Check out where you can drink your way to margarita bliss, whether you’re celebrating a special occasion or just another beautiful day. Gracias Madre has earned acclaim for introducing the world to healthy, vegetarian based Mexican dishes. 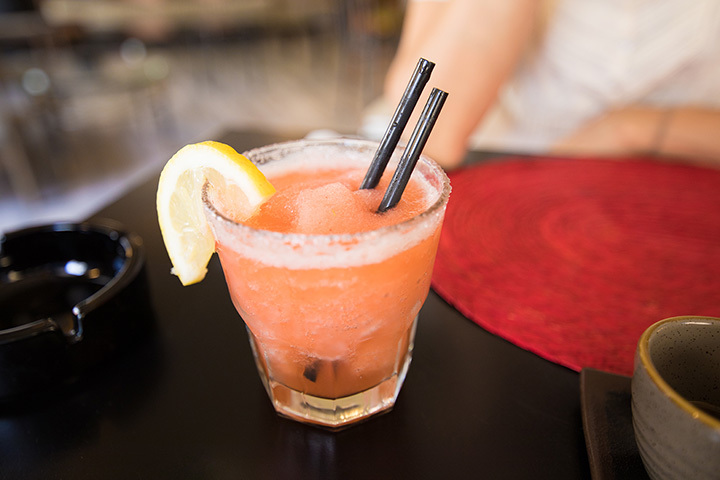 The margaritas are similarly infused with passion and new flavors. Sure you can order a more traditional version, but why not see what the latest flavor is? Salazar is a favorite with foodies, tucked into a relatively unknown neighborhood of Los Angeles. Enjoy the open space and bright colors as you try a refreshing margarita on draft. It pairs perfectly with the tacos, appetizers and other dishes that have made the newcomer to the LA dining scene a favorite. Casa Vega is an institution on Ventura Boulevard. The long-standing Mexican joint offers a chance to glimpse some of Hollywood’s hottest stars of yesterday and today while you sip on a margarita in the cantina. Choose from the menu long list of margaritas, whether you get it blended or skinny or add some new flavors, you’ll find something you like. El Compadre features warm hacienda-like ambience to accompany their famous “flaming margaritas.” Paired with generous portions, a trio of live musicians every night, you’ll soon discover how El Compadre has managed to stand out in a city of margaritas for decades. As one of the oldest restaurants in Stockton, Arroyo’s Café has a history of serving up some of the best margaritas in town. Located on picturesque Quail Lake, you can often enjoy your margarita with a special event or live music—but always the fresh, homemade tortillas that have been made with love since the restaurant opened back in 1946. Las Casuelas Nuevas has a rich history in Palm Springs, thanks in part to the margarita mix that is crafted in-house each day. Choose from the house margarita (a happy hour special) or go for a top shelf tequila version. Either way, you’ll find a refreshing treat to pair with the menu of family recipes. Sandbar is located right on State Street, Santa Barbara’s thriving main drag. Stop by for a margarita during dinner hours or happy hour to enjoy one of the many margaritas that are crafted using local produce and fruit. After the sun goes down, Sandbar transforms into a happening night spot. A fine dining restaurant that doubles as a tequila museum, Mayahuel celebrates the flavor and tradition of agave. In addition to carefully curated dishes, Mayahuel offers education programs including classes and special events that are devoted to tequila. And you’ll find an array of margaritas and other tequila-based cocktails as well as a happy hour and other ways to experience the flavors of agave. Tommy’s Mexican Restaurant has become a San Francisco favorite over the past decades. Go beyond the up and coming Mission district’s taquerias to Tommy’s in the outer Richmond district where you’ll find a curated menu of tequilas that you can choose from for your pitcher of margaritas. Old Town San Diego gives a glimpse of the rich history of California’s famous border town and the margaritas that make everything in the city a little more magical. Casa Guadalajara is a great place for tourists to stop in after a day of browsing the shops of Old Town. Each month, the restaurant and cantina creates a new drink from a vast selection of tequilas, in addition to the margaritas that make happy hour extra happy.